14 Nov Construction Has Commenced! Wonderful news! 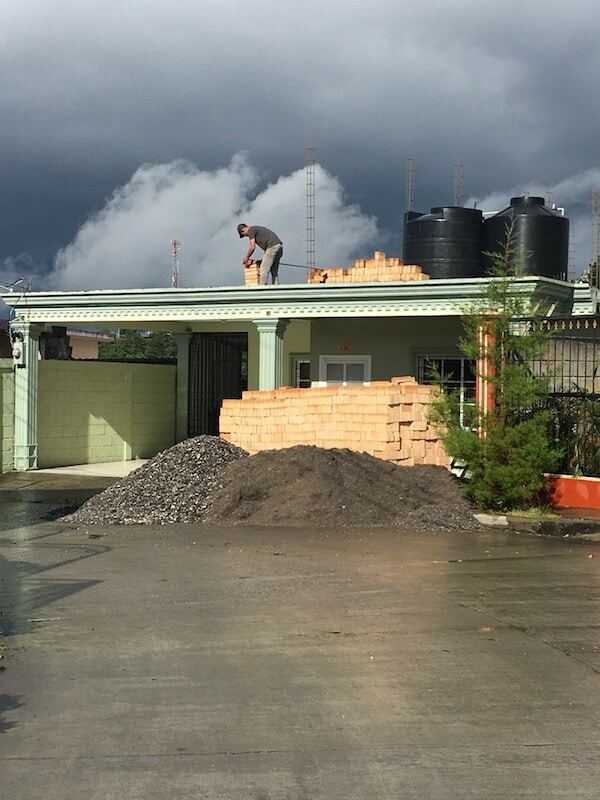 Building has begun on the Casa Segura and Casa Segura Jr building. Once it was purchased by the Hovde Foundation (along with the Transition House which includes our offices), volunteer Sophia Fitzgibbon moved into the current building with her 4 foster girls until construction began. The new second floor will be Casa Segura, while the current lower level will become Casa Segura Jr.
Tyler Harbison, our property manager, completed the initial plans for the addition in June. 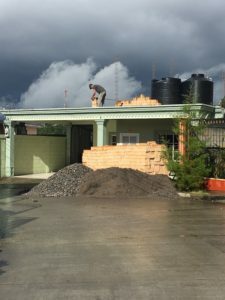 The months since then have been spent getting quotes from different Honduran contractors and finalizing each part to make sure the space will perfectly carry out it’s purpose–to provide a safe place for children coming from crisis situations. This expansion will allow us to better care for special cases like younger children, sibling groups, or children with special needs. Right now they are setting up the rebar frames for the concrete and will soon be laying brick. Now that construction has begun, the expansion should be completed in 3 months. We are excited to keep everyone posted on the progress!